After spending months investigating the death of sailor Jon Santarelli, who went overboard from the TP52 Imedi shortly after the start of the 2018 Chicago Yacht Club Race to Mackinac, the Chicago YC is now looking into the question of inflatable lifejacket safety with an eye toward making the race even safer in the future. 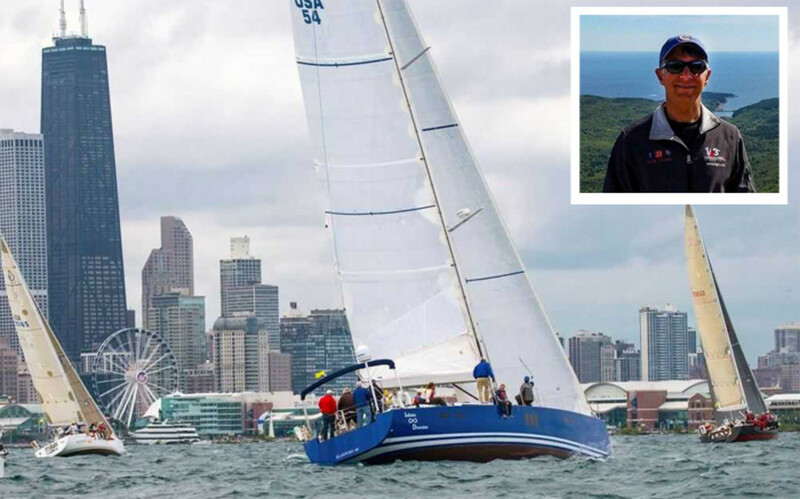 Santarelli was lost on July 21 shortly after the Turbo Section Start of the 110th Chicago Yacht Club Race to Mackinac as Imedi was sailing upwind in winds of 20-25 knots and short-period waves averaging 6 to 8ft. “These conditions were uncomfortable, but not uncommon, well within the experience of the crew onboard Imedi that day and certainly within the design parameters of the yacht itself,” the Chicago YC says. The club goes on to say that immediately prior to going overboard, Santarelli was trimming sail from behind the helm when, he lost his footing, slid under lifelines aft and off the stern. Although Santarelli was not clipped in with a tether, he was wearing an auto-inflatable PFD, designed with a hydrostatic trigger. However, the PFD failed to inflate. Santarelli’s body was recovered a week later. According to the Coast Guard, Santarelli was wearing his life vest when he was found, but it had still not inflated. Unfortunately, the Coast Guard was not able to perform a full analysis of the vest because it had been incinerated without the Coast Guard’s prior knowledge. However, the CO2 cartridge was still available for its review. For more on the accident and investigation, click here.